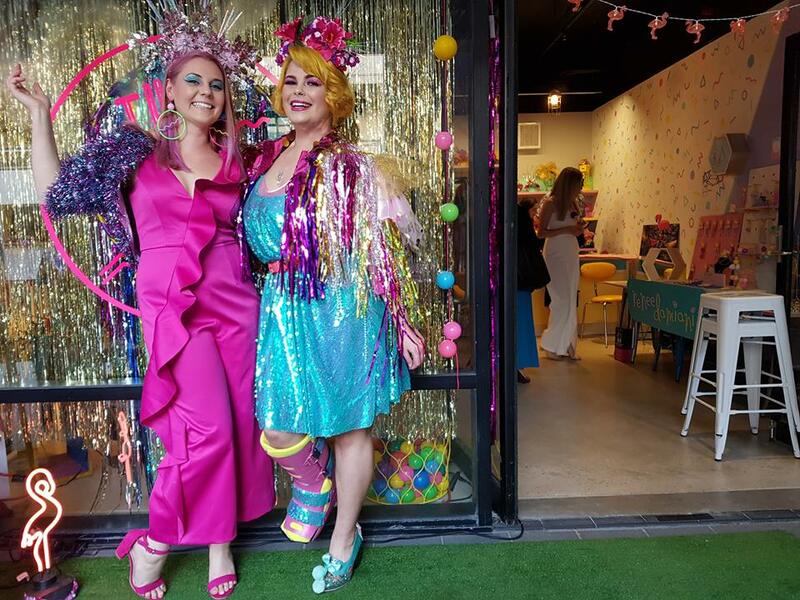 The launch for The Studio ADL was a colourful explosion of celebration with a rainbow of creativity. 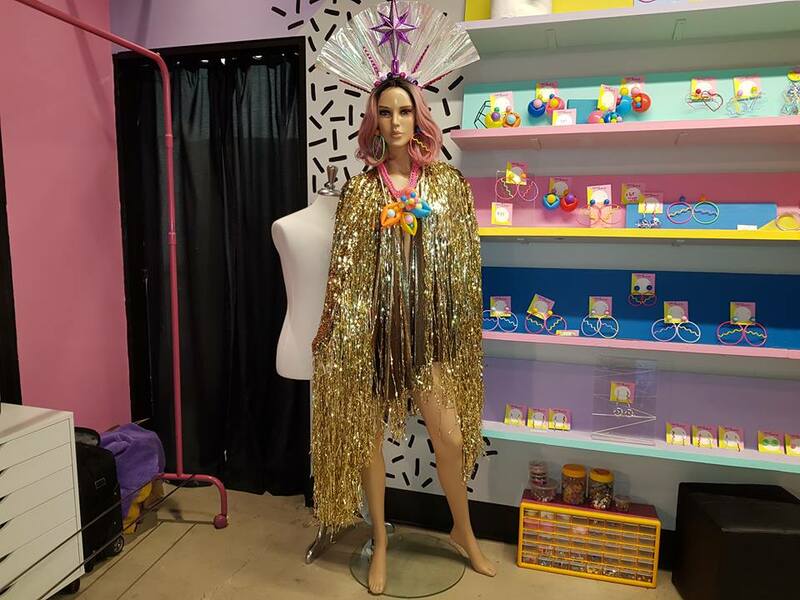 Renee Damiani and Tash Evele have joined forces to open an arts and craft store that offers more than just a sale. 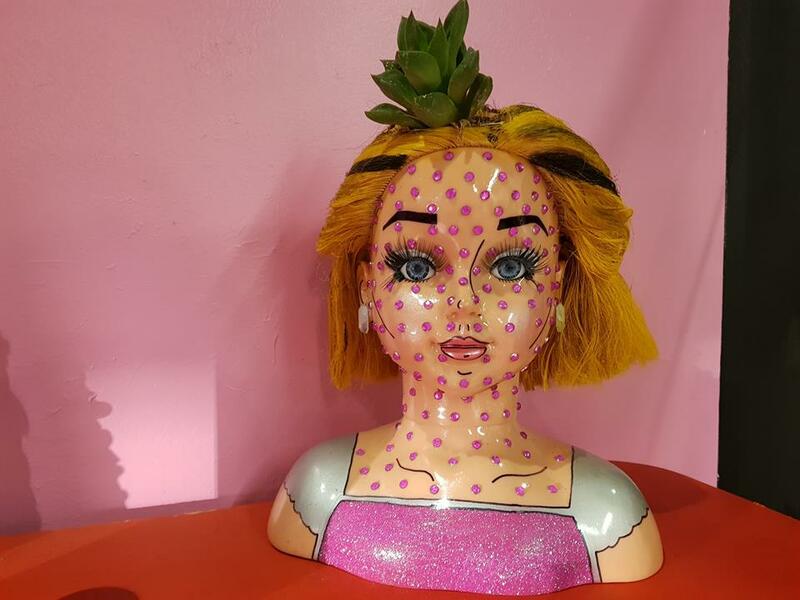 Renee has been making jewellery for 15 years and Tash is the craft queen specialising in designing head-pieces, jackets, dresses and pot-heads. The two of them both decided they had outgrew working at home and in studios. Renee said her and Tash have the same art sense and colour matching. Tash used to work at Renew Adelaide which helped them locate a space for their shop. Renew also set up free drinks for all the guests. When the space became available, Renee said “it was a great opportunity to collaborate”. Tash said The Studio ADL is “quite unique’ because they will teach workshops called “craftanoons”. “Even if you’ve never picked up a paint brush before, or you have never used a glue gun before. We can teach you. There’s no mistakes”, Tash said. “It’s about having fun and playing around a bit,” Renee said. They’re hoping to host special master classes with prominent Adelaide artists. The workshops will be running weekly but could happen two times a week if business is good. The Studio ADL will host girls’ nights, hens’ nights, birthday parties and children parties. “We want to collaborate with everyone and create a network.” Renee said. “If you can dream it, I can make it.” Tash said. You can find Renee’s and Tash’s wonderful creations and join in on the “craftanoons” at The Studio ADL, located opposite the GU Film House on Hindley St.